If you received an email invitation to witness a signed document follow the link in the email to Witness or log in with an existing account. If prompted. 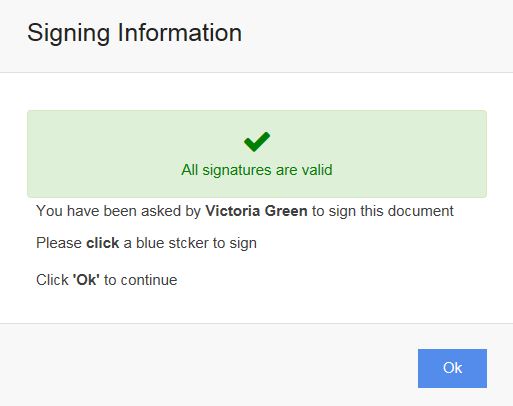 A Document Verification popup will let you know if there are no signatures found, all signatures valid or if some invalid signatures are detected. You can use this information to decide if you'd like to continue the process. To continue, click 'Ok'. 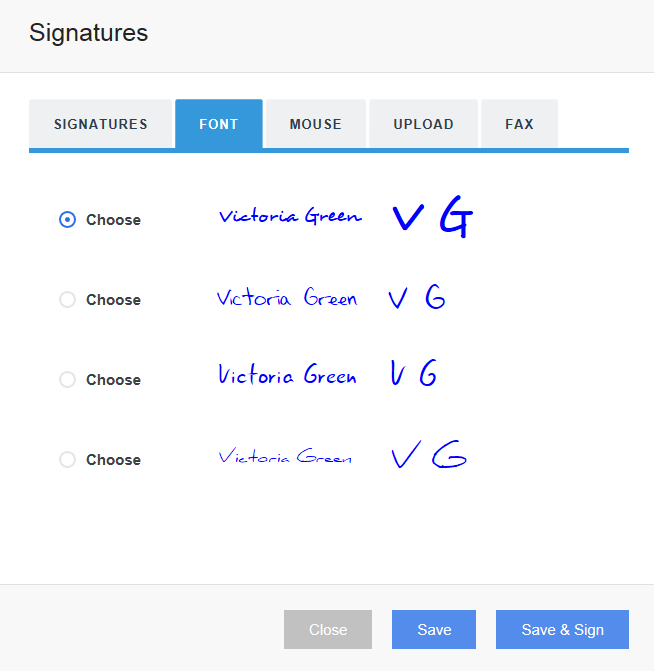 Once you've logged in if you havn't already captured your graphical signature, you'll need to do so. Review the document and signatures placement. A 'Sign Here' sticker indicates where your signature/s will be signed. 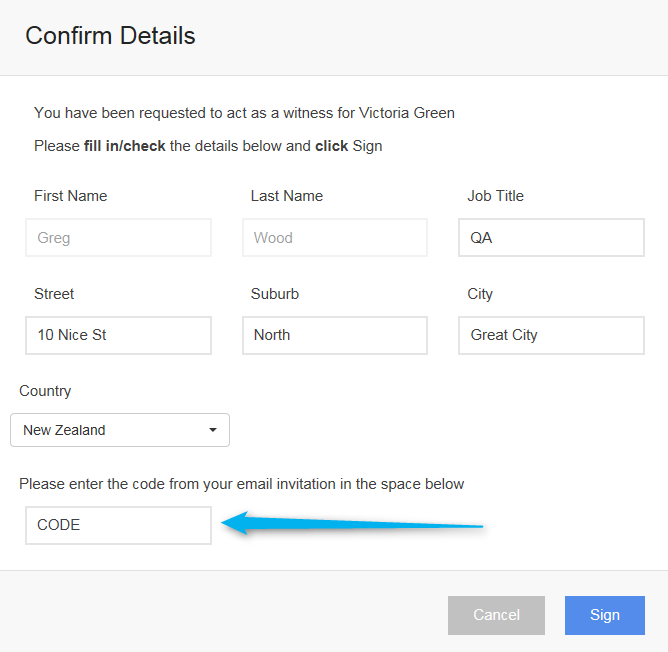 Enter your details and the security code from your email invitation and click 'Sign'. The document has been signed and is automatically returned to the document owner's 'Signed' folder.